Korea is a culture of convenience. Much like the United States, where I’m from, the ease of having things done for you is appreciated. But, to my surprise, Koreans are much better at offering delivery service for the funniest things. Eat McDonald’s almost anytime, practically anywhere. Want fried chicken at your doorstep? Get your bibimbap on the spot. Pizza in the park! 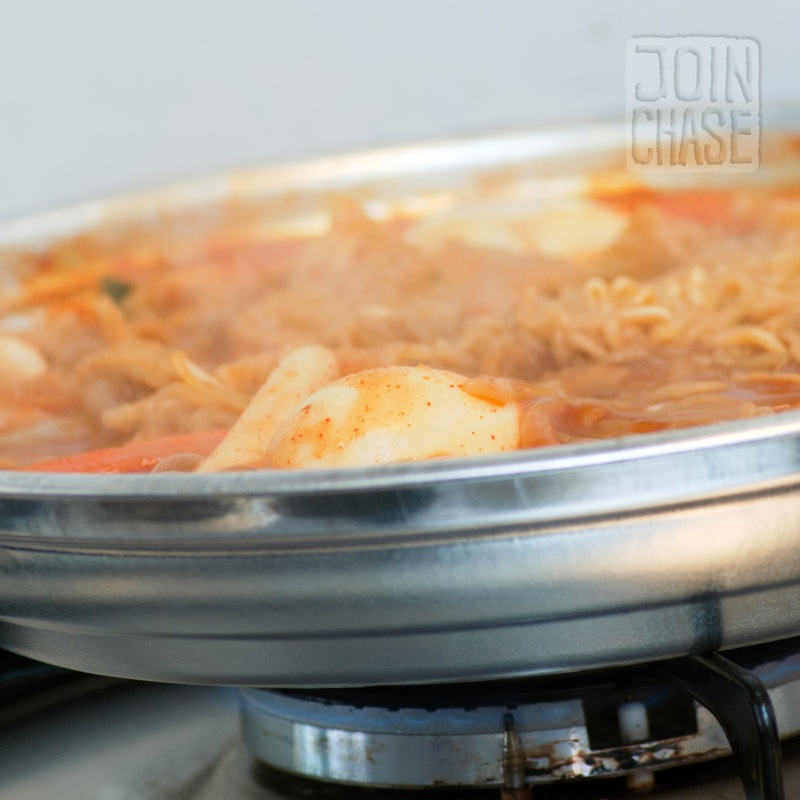 How about do-it-yourself duk bokki? It seems about everything in Korea can be delivered. I never learned how to speak enough Korean to order for myself, so I always took advantage of having Korean friends over to get delivery. 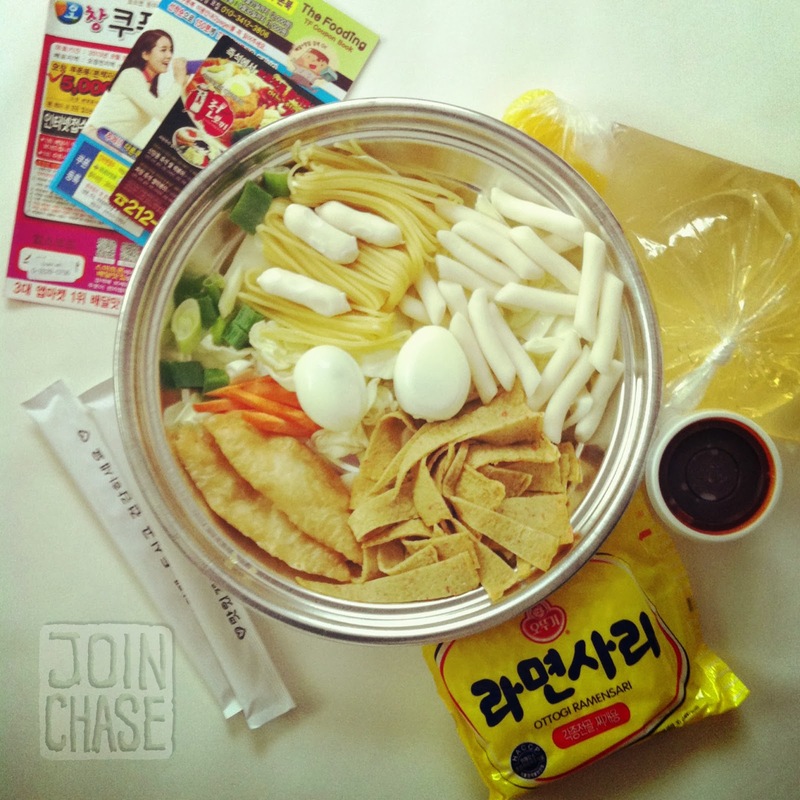 And one of my favorite delivery experiences was the “do it yourself” duk bokki. Have you tried it? Several businesses specialize in this service. Making duk bokki at home in South Korea. You get everything you need to make your own duk bokki at home. Eggs. Fish cakes. Noodles. Ramen. Rice cakes. Carrots. Cabbage. Green onions. Pepper paste. Radishes. Chopsticks. Water. Oil. Heck, even the pan is included! All you need is a heat source. Variations of this popular Korean dish are also available. If you haven’t tried it, I highly encourage you to. Not only does it taste good, it’s inexpensive as well. A massive amount of duk bokki is probably not the healthiest option; though, the overall experience is worth a few extra calories. The saltiness and spiciness of duk bokki pairs particularly well with sweet, milky makgeolli. Or, keep things classy by washing it down with a shot of soju and/or swig of Cass. This wouldn’t be a Cup of Korea post without mentioning something about a local beverage. I miss the convenience of delivery service in South Korea, and can’t wait to return. Take advantage of it while there. Drink some makgeolli for me as well.